The writing process is notoriously mysterious and hard to describe, especially when one is in it. Writers are used to having to prove to people that they actually work, even though what they do doesn’t look a lot like work, or a lot like anything. 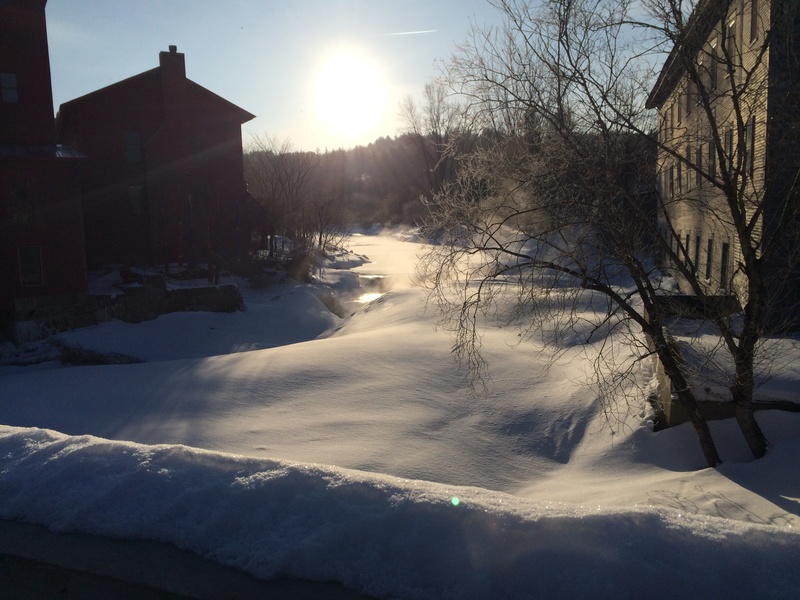 Case in point: I’m coming up on the last week of my residency at the Vermont Studio Center. What did I do while I was here? It probably doesn’t look like much. The question reminds me of that Seinfeld scene where Elaine describes doing nothing. JERRY: So what did you do last night? JERRY: No, I know nothing, but what did you actually do? ELAINE: Literally nothing. I sat in a chair and I stared. JERRY: Wow, that really is nothing. Most days of the residency involved walking from one building to another, eating food, talking to people, but most of the time just sitting and staring: out the window, at a book, at the computer, in my notebook. Today, for example, I wasn’t expecting much. Like every other day, I showed up at the writing studio really hoping I’d come up with something to write about. Then I decided to spend the morning avoiding writing, by doing some administrative work for my literary journal. This was a useful distraction––I got some things done, which felt good, but it had nothing to do with my writing. Then when I was ready to really work, I picked up the photocopy of William Carlos Williams’s Spring and All, which I had decided at some point was going to inspire me. I waded through some beautiful sections, some confusing parts, and then landed on something that made me stop. The sentence spoke to a difficulty I was having in moving forward and more deeply into my poetry collection. Something about the sentence made me put down the photocopy, pick up my notebook, and write. And then I wrote something that really surprised me––that felt new and exciting. It was probably the thing I’d hoped would happen, but not at all the words I would have expected to come out. You can’t ever know what will happen. And I know people say this a lot, but you really have to show up. And showing up is brave. I totally dread approaching my work sometimes cause I think I have nothing to say or it’s not going to be great. But I surprise myself over and over. I’ve seen that happen during the residency, where my job has been to show up. I’ve learned that if you sit and stare long enough nothing will become something. So what did I do on my residency? Nothing. And everything. And I even have some poems to prove it. This entry was posted on Saturday, March 22nd, 2014 at 5:47 pm	and is filed under creative process, poetry, Vermont Studio Center, works in progress, Writing, writing process. You can follow any comments to this entry through the RSS 2.0 feed. You can leave a comment, or trackback from your own site.